Ha! I have heard it said that “the Devil makes work for idle hands,” maybe he does, I don’t know about that. Today we are going to talk about Monkey Business, of the botanical kind. I just want to mention the star of today’s show. 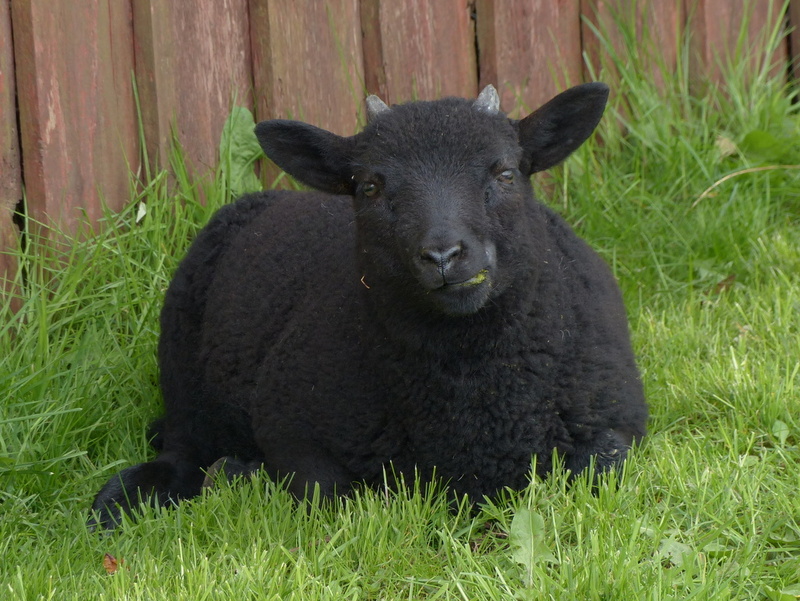 Pretending to be Old Nick himself, this beautiful little innocent is one of our ASBO lambs. Born into the wild, this one has survived. I just met him about an hour ago and I was struck by his inner beauty. The Cowslip is so tall and strong. Handsome even, that is just another word for beautiful. Should we leave them alone together? 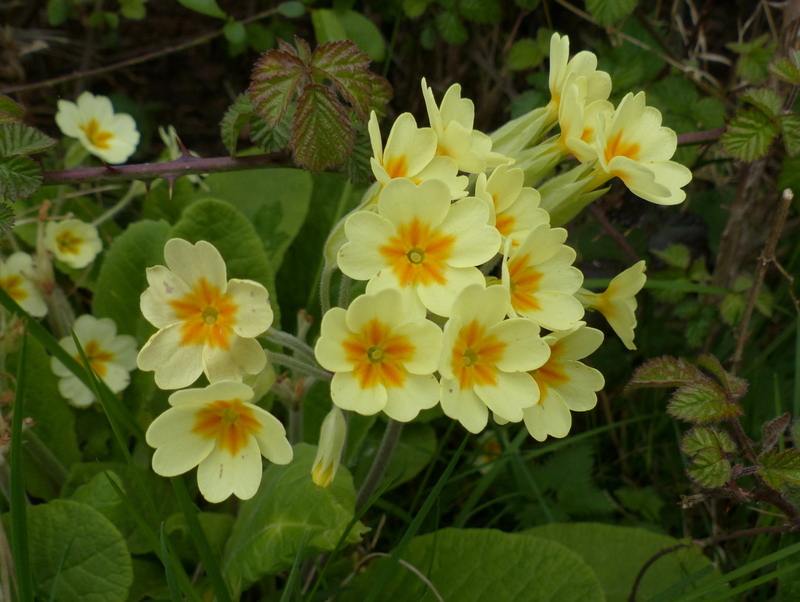 I don’t know how much that you know about the birds and the bees but if you leave Primroses and Cowslips alone together then there is a very fair chance that they will get up to Hanky Panky. 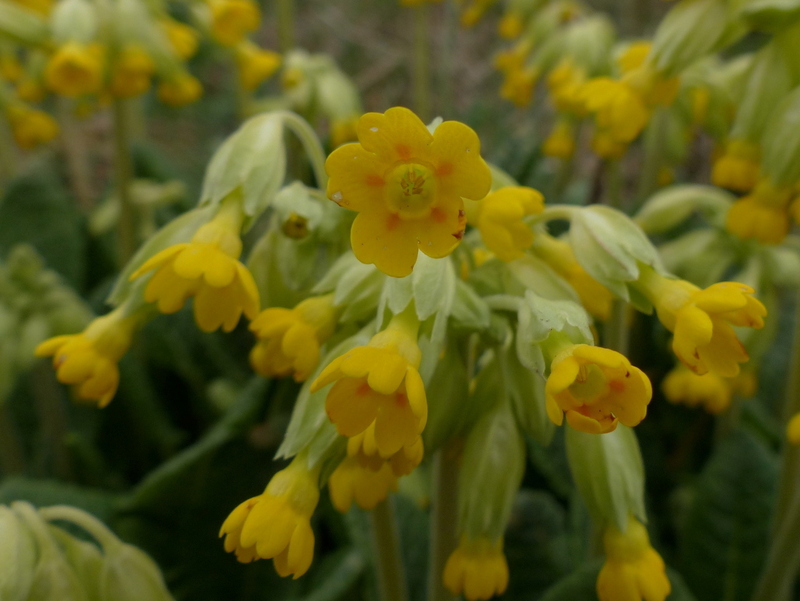 This is a flower called the False Oxlip, real Oxlips are very rare and a species in their own right. 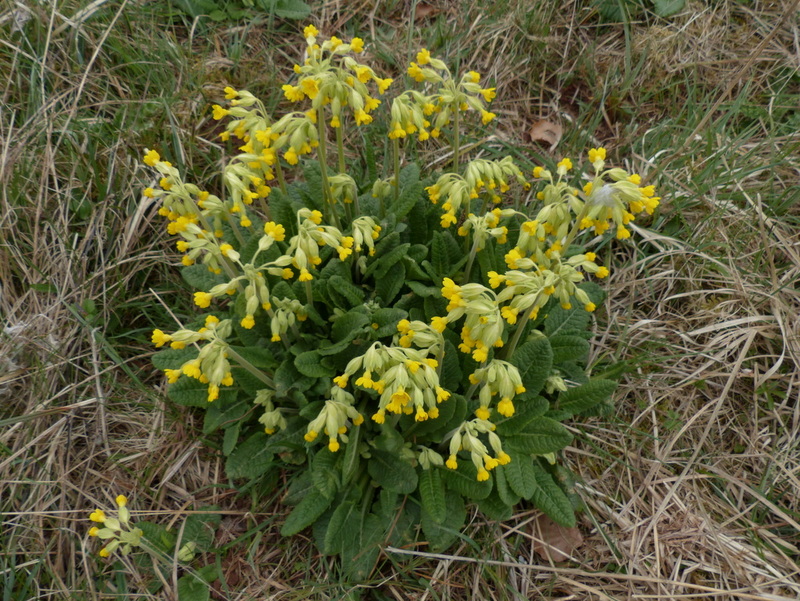 A False Oxlip is the result of a liaison between a Primrose and a Cowslip. We are not here to judge. It seems to me to be a very beautiful offspring. His mum was not what I would call a looker. But I noticed his sister. Beltane fire for you? 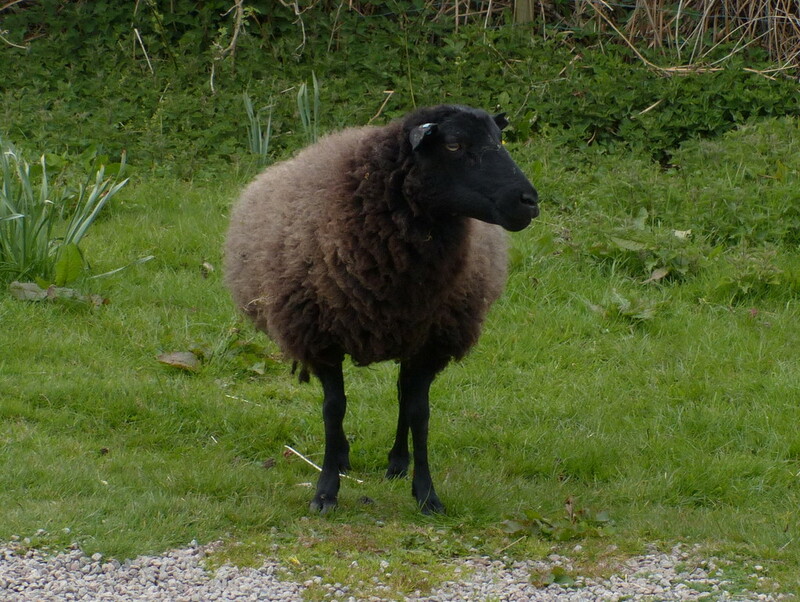 I think that sheep is a good looker; looks like a nice coat of wool he has there. 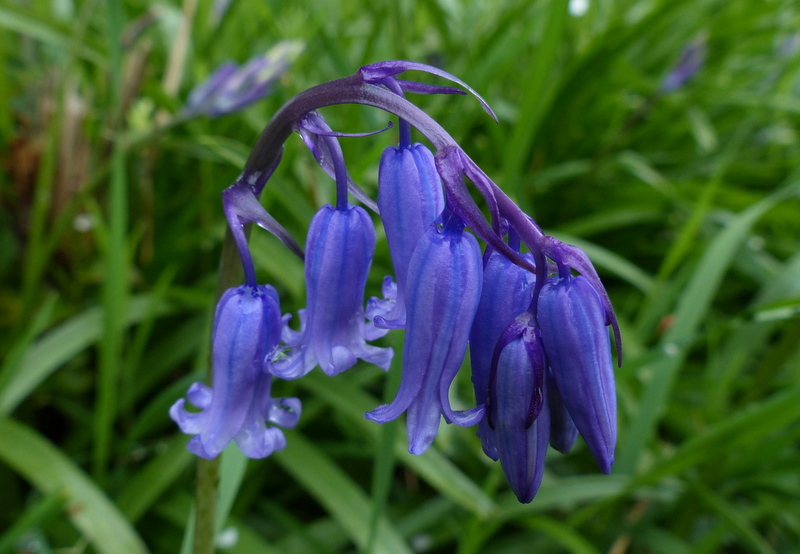 Who knew flowers would do hanky panky…….well, you did, of course! Dai’d in the wool Welshman, I should have said. Thanks Colin. What a great story for MayDay. OMG I’m so in love with the siblings. Really, in LOVE. Thank you so much for this post. Love the LAMBS and the beautiful flowers. Baaaaa and kisses on the sheep. Thank you Gigi 🙂 I liked that little black one so much if he had been a bit older I might have stolen him. I wonder if my Landlord would notice a Ram in my flat? 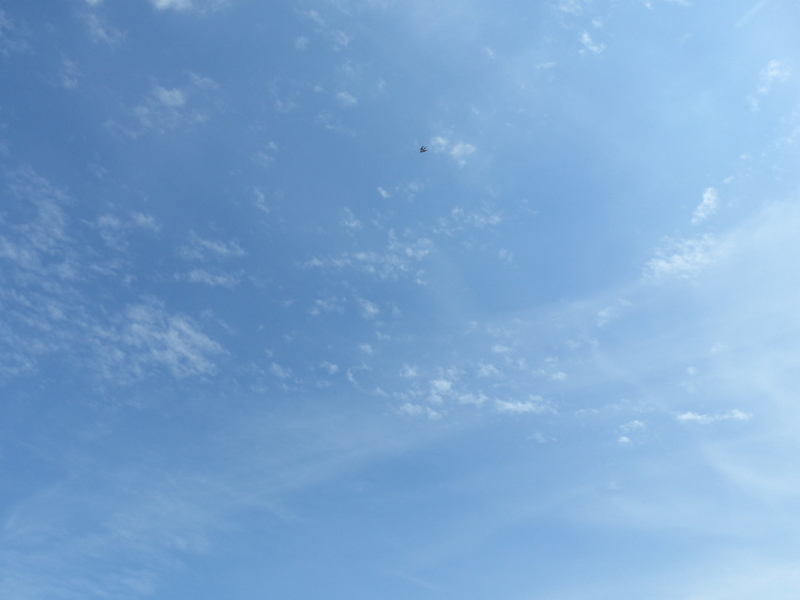 He didn’t notice the butterflies. Thank you Eliza 🙂 I agree, the hybrid makes a very nice little flower. I don’t see them very often though. 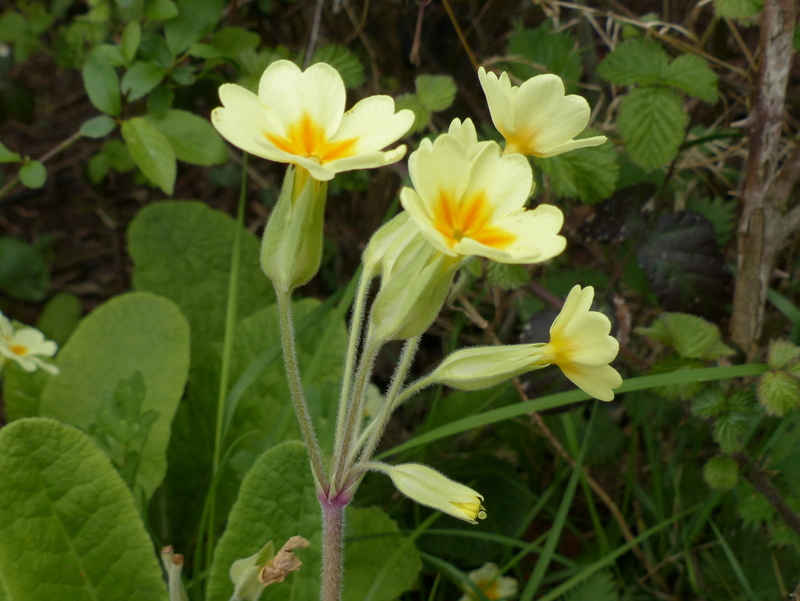 Primroses seem to grow best in the shade and the Cowslips like the sun, so there are not that many places where I find them growing together. 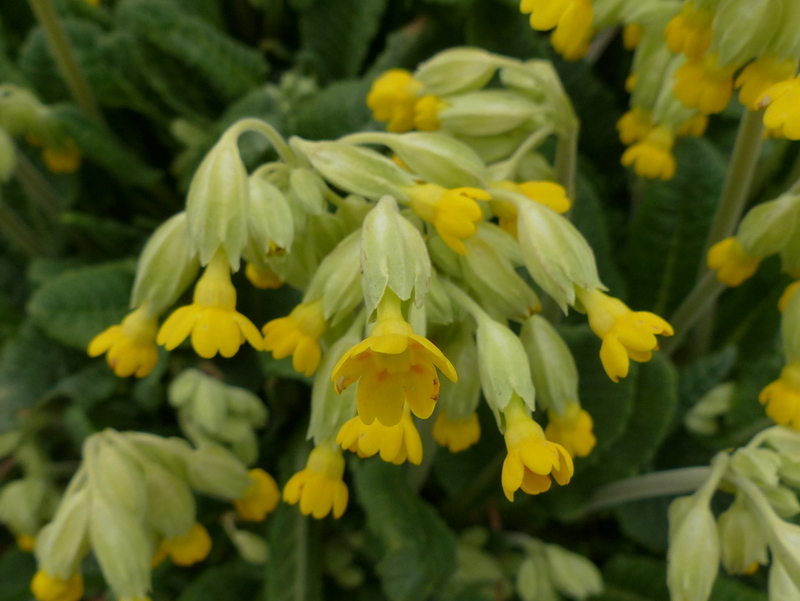 Thank you John 🙂 Primula veris and Primula vulgaris, the Cowslip and the Primrose are very closely related and P. veris x vulgaris = P. polyantha. Ahah. 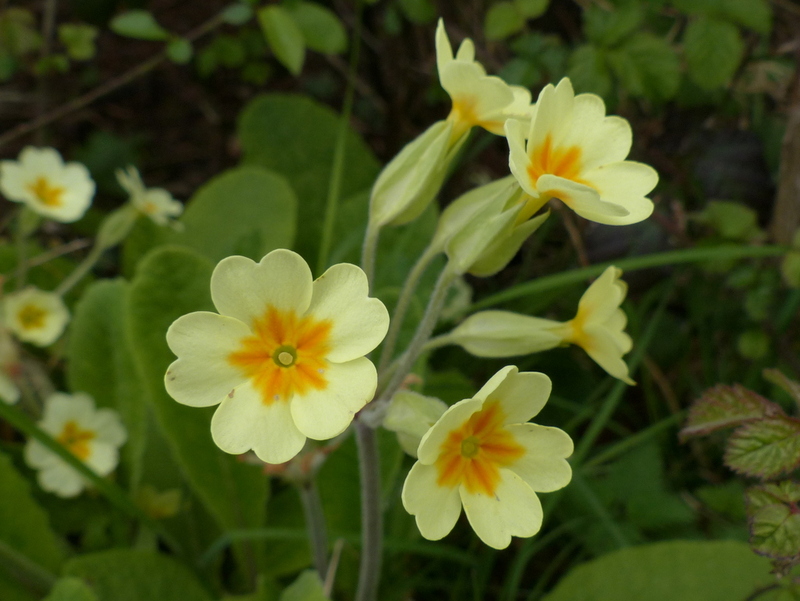 But I think the Oxlip is prettier that all. 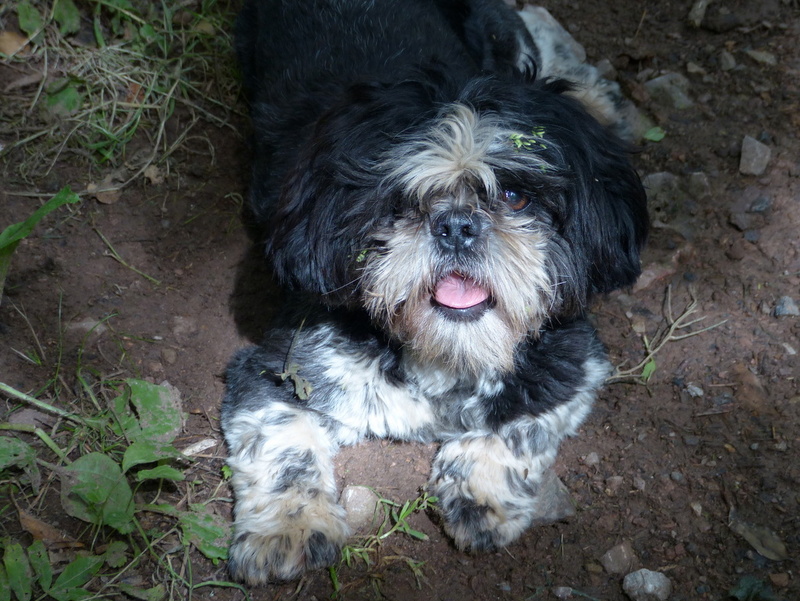 Often crossbreeds in people and animals as well as plants seem to bring out the best. Thank you Joey 🙂 I worry about the little lambs but it is nice to have them wandering about the villages here. You are right about the goings on in the primula family! 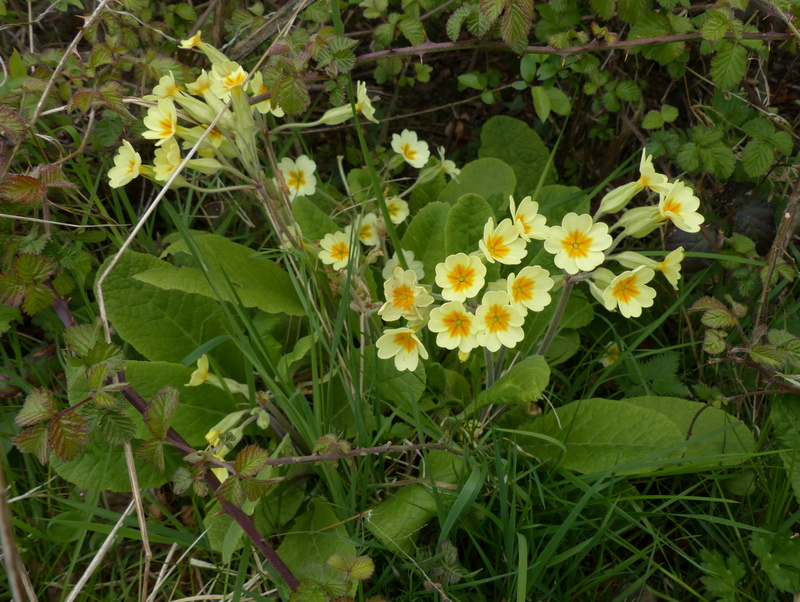 We have primroses in our ditches (fairly recent arrivals) and cowslips in the grass. 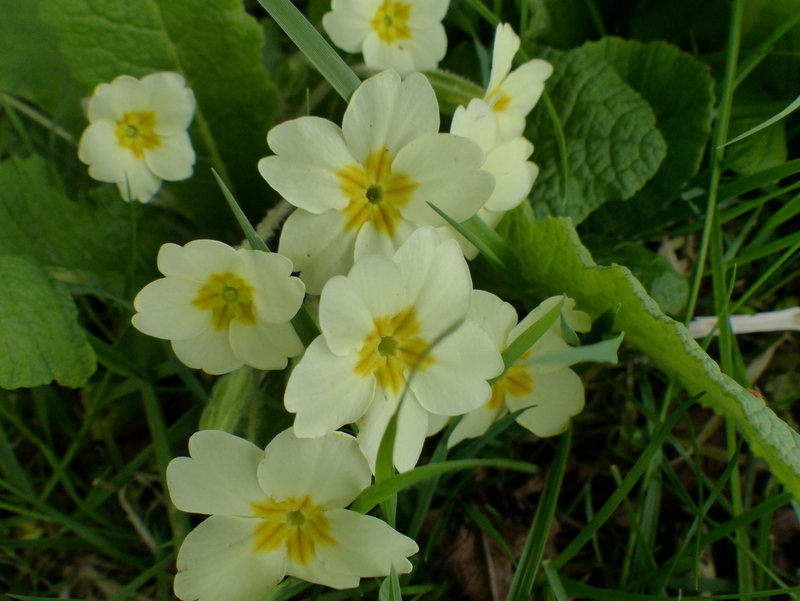 Since the primroses arrived we have had such a selection of primulas growing in the garden – all shapes and sizes – all different! 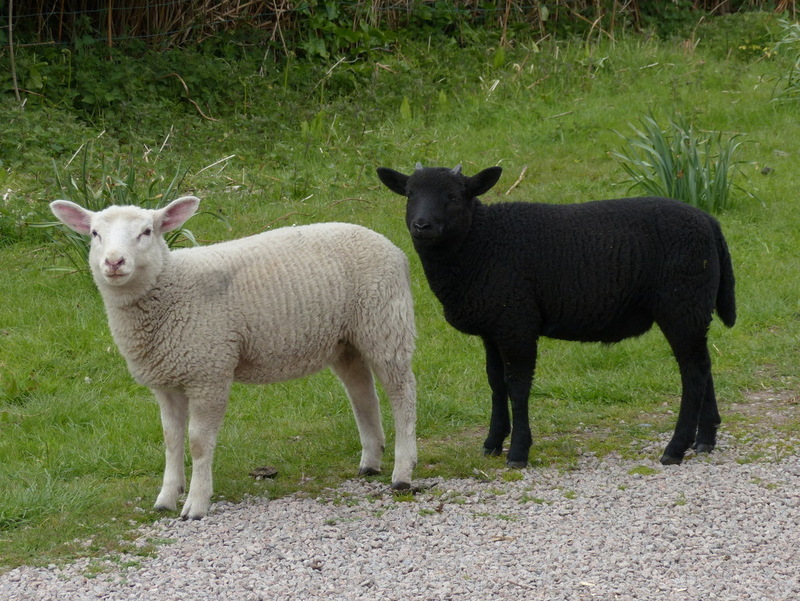 The lambs are adorable and their Mum (though not a looker) has a nice face. Thank you Clare 🙂 The False Oxlip has to be one of the best hybrids though. Almost worth encouraging. A delightful post. I was either smiling or laughing!